Powertime is a leader in the resale of prepaid electricity online in south Africa with over 50,000 recurring users. 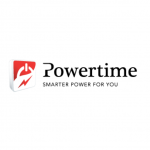 Powertime has integrated the PayGenius api on its website and mobile applications. Powertime makes use of PayGenius PCI compliant credit card vault to encrypt and store its users card. This enables them to offer 1 click payment to their users. In addition, Powertime makes use of PayGenius ability to reserve funds before processing the transaction. This fund reservation feature enables them to ensure that they can provide the token before switching the credit card. Powertime is a large volume processor and has enjoyed the reliability, stability and efficiency of PayGenius payment infrastructure.